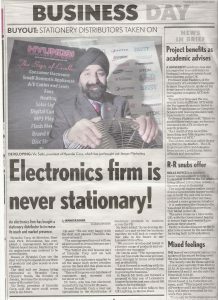 Electronics firms are never stationary! Vic Sethi, president of Hyundai Corp, in Meridian Business Park, has completed a management buyout of Telford based Jensan Marketing. The deal will see Jensan re-branded as Hyundai Corp.
Vic Sethi said the move could create more jobs in the future. We are very happy with the deal and please Chandra has come on board. The management buy out will see all 7 staff at Jensan become part of an enlarged group. Jensan is a stationery supplier to all the major high street retailers across the land and this gives us an access into a new market. 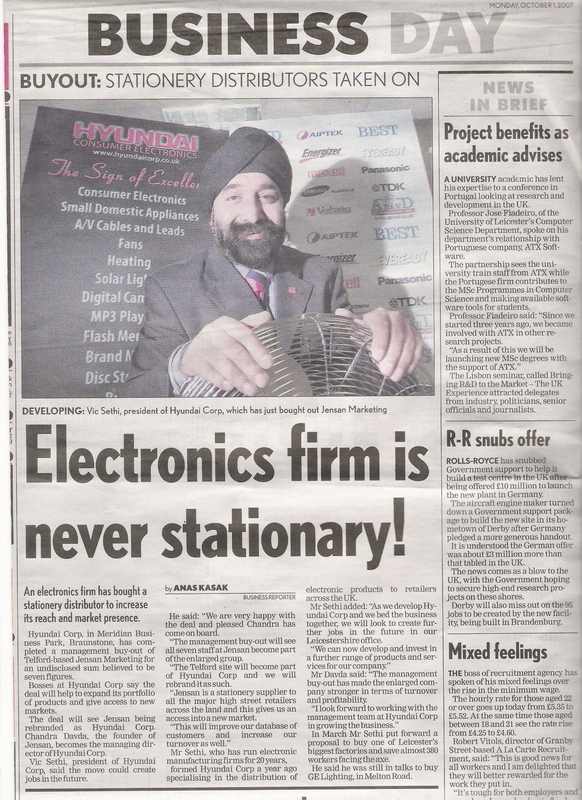 Vic Sethi has been running electronics manufacturing firms for 20 years, formed Hyundai Cord a year ago specialising in distribution of electronic products to retailers across the UK. © 2019 Vic Sethi. All Rights Reserved.